We are delighted to announce that we have signed a sponsorship and technology partnership with the extraordinary “Row Like a Girl” team. 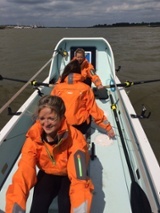 More people have traveled in to space or climbed Everest than have rowed across the Atlantic but that hasn’t stopped 4 remarkable young ladies from entering the Talisker Atlantic Challenge. 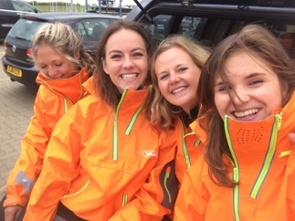 On the 15th December 2015 Lauren Morton, Olivia Bolesworth, Bella Collins and Georgina Purdy will set off from La Gomera and head for Antigua in nothing more than a glorified bath tub with the hope of becoming the youngest all girl team to complete the challenge which can take over 3 months to finish! In December 2013, Lauren attempted the Atlantic crossing with her friend Hannah, raising money for Cervical Cancer after losing their close friend Eleanor Ellis to the disease. Unfortunately the girls experienced major difficulties along the way and were eventually rescued by a cargo ship after a grueling 96 days at sea, ending up in snowy Canada rather than their initial destination of choice in the Caribbean. We wish the girls the best of luck and will be keeping you all updated on their progress before, during and after the race.